Call Answering Service using 800 Phone Service and Call Outsourcing Services. Organizations looking to reduce costs and to improve customer service can now contract their inbound phone and outbound voice messaging programs at our 800 number services facility. 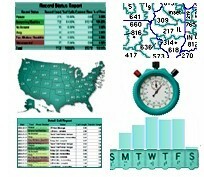 As designers of call answering systems and phone answering service software, Database Systems Corp. (DSC) is uniquely positioned to manage your call answering services and 800 phone service campaigns saving your company both time and money. Because our phone answering service software was created in-house, we can deliver comprehensive 800 number outsourcing quickly -- providing you with a competitive advantage in the marketplace. Plus you will find our 800 phone service to be quite affordable. And now DSC offers you a "Try before you Buy" option. Let us create and manage your phone answering service campaigns, and eventually you can acquire your own Phone Answering System from us with these 800 number service applications already developed and tested. These answering service systems are competitively priced along with our phone answering services. To assist our clients with estimating the resources required to perform a call answering service, Database Systems Corp. provides a simulation model. 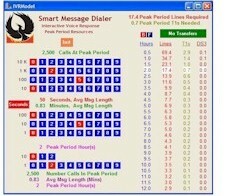 This model accepts call answering service campaign parameters such as average call length, peak number of calls, and peak call lengths and estimates the resources required to perform this campaign. Database offers its clients both outbound outsourcing and inbound phone answering services with the ability to manage their own call answering service and voice broadcasting campaigns online. After signing up for our call center services, you can login to your own account with a unique user id and password. Answering service clients can view activity reports on a real-time basis. Voice Broadcasting clients can download voice recordings and call lists and even manage the start and end of their calling campaigns. Users can view call campaign reports and the percentage of completion. 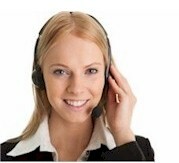 To visit our Database Service Center, click on the Call Center Outsourcing link. To achieve the maximum results from your call answering service and voice broadcasting phone programs, consider using our professional voice recording services. We have contracted with several professional voice talents that you can sample by visiting our Voice Overs and Voice Over Talent web page. These services can be provided to you at affordable prices and can put a finishing touch on your call campaign. The voice recordings can be produced in minimal time at a professional recording studio. According to the May 2001 study "Contact Center Self-Service Costs,"
$7.00 for a live agent by chat. Contact DSC to learn more about our 800 number services and phone outsourcing services.